Casting has been announced for the First National Tour of MATILDA THE MUSICAL. Produced by the Royal Shakespeare Company and The Dodgers, the First National Tour will begin this May at the Shubert Theatre in New Haven, CT, with the official tour opening at the Ahmanson Theatre in Los Angeles on June 7, 2015. Winner of 50 international awards including 4 Tony Awards® and a record-breaking seven Olivier Awards® including Best Musical, MATILDA THE MUSICAL is the story of an extraordinary girl who dreams of a better life. Armed with a vivid imagination and a sharp mind, Matilda dares to take a stand and change her destiny. 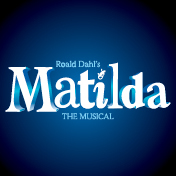 Based on the beloved novel by Roald Dahl, MATILDA THE MUSICAL is directed by Tony Award® winner Matthew Warchus (God of Carnage), who helms this production with a book by Tony Award®-winning playwright Dennis Kelly and music and lyrics by Australian comedian, musician and composer Tim Minchin.